This year's Halloween festivities brought out some of the best and most creative celebrity costumes we've seen yet. One celebrity couple even decided to take their celeb royalty title to a whole new level — by dressing as literal monarchs. 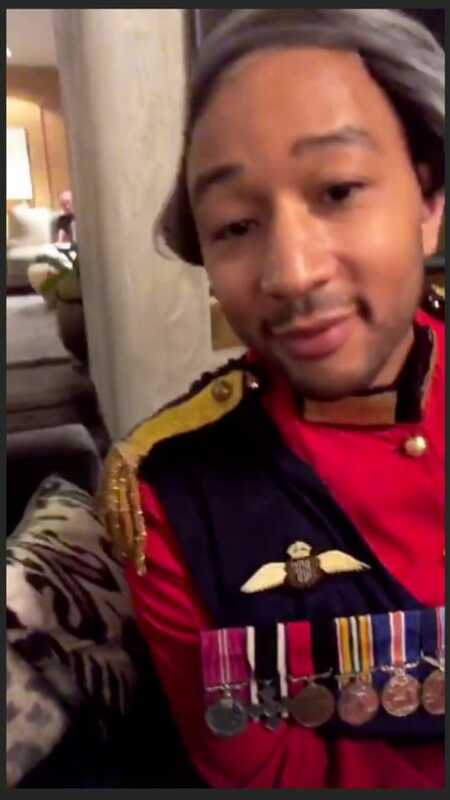 John Legend and Chrissy Teigen paid tribute to Prince Philip and Queen Elizabeth II, respectively, in some super-accurate ensembles. As reported by Entertainment Tonight, this power couple dressed as the reigning queen of England and her husband and prince consort — though they apparently did it just for the 'Gram. Although Teigen and Legend were apparently supposed to attend Kendall Jenner's birthday party, they admitted they were too tired to go out. 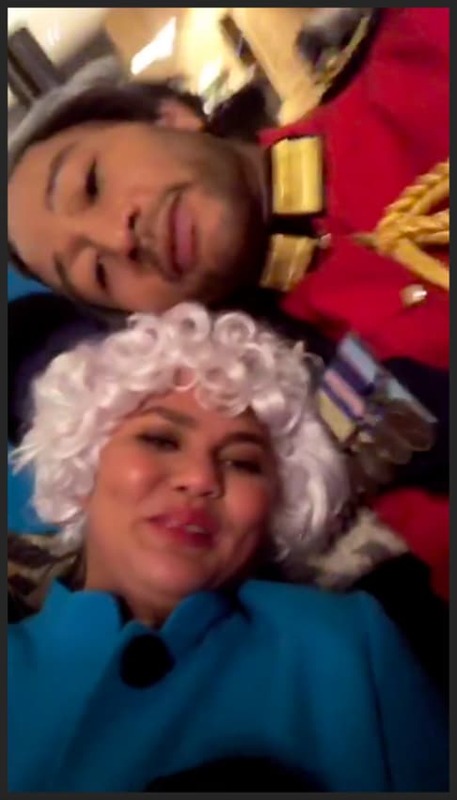 Legend documented their full costumes on his Instagram, while Teigen shared videos of them in costume and affecting British accents on her Instagram Story. In one, Legend says, "Hello. Happy Halloween to our loyal subjects," as Teigen slowly walks into the frame. 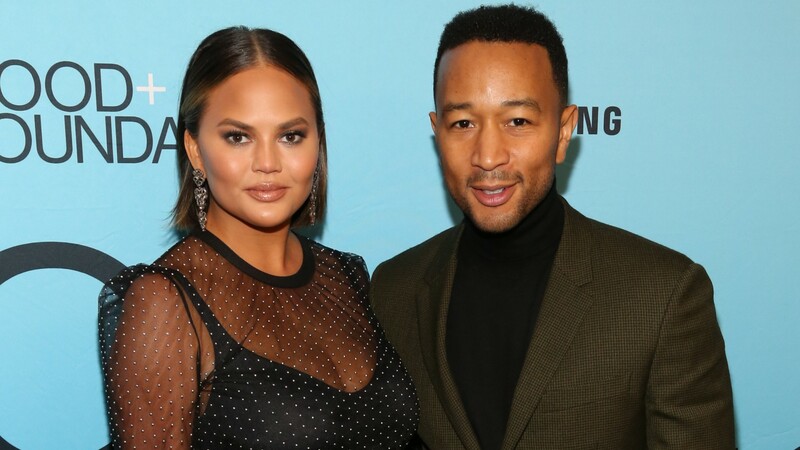 “We were going to go somewhere, but we’re so tired, so we’re at home,” Teigen said while she lounged on the couch in her costume in another video. The pair also showed off Legend's wig, with Teigen laughing as she focused the camera on his gray hair. Legend quipped, "Is it even accurate?" as he leaned into Teigen on the couch. Then she showed off her sensible low black heels, which are what the queen typically wears. 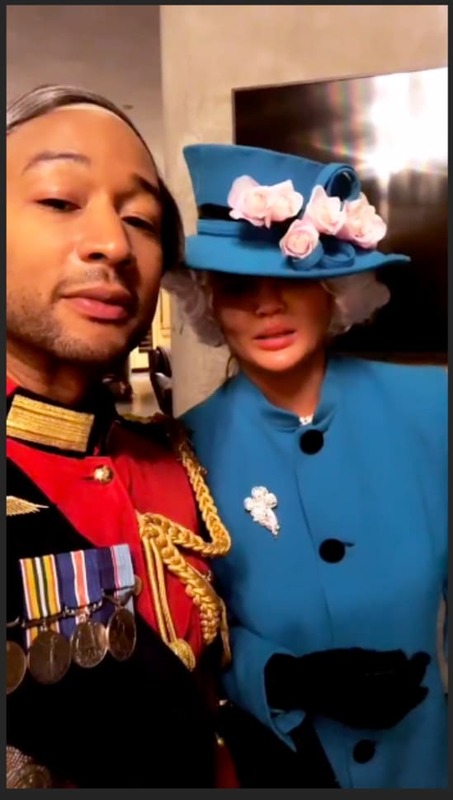 While Legend rocks a true-to-life military uniform in addition to his gray wig, Teigen has a curly white wig and a flowery hat to match her coat, which is in one of the queen's trademark bright colors, blue. She's even carrying a purse similar to the queen's Launer London purse, which is so famous that it was recently included in a new portrait of her commissioned for the Royal Air Force Club. We're loving how much fun these two clearly had with these costumes — and we don't blame them for wanting to stay in.